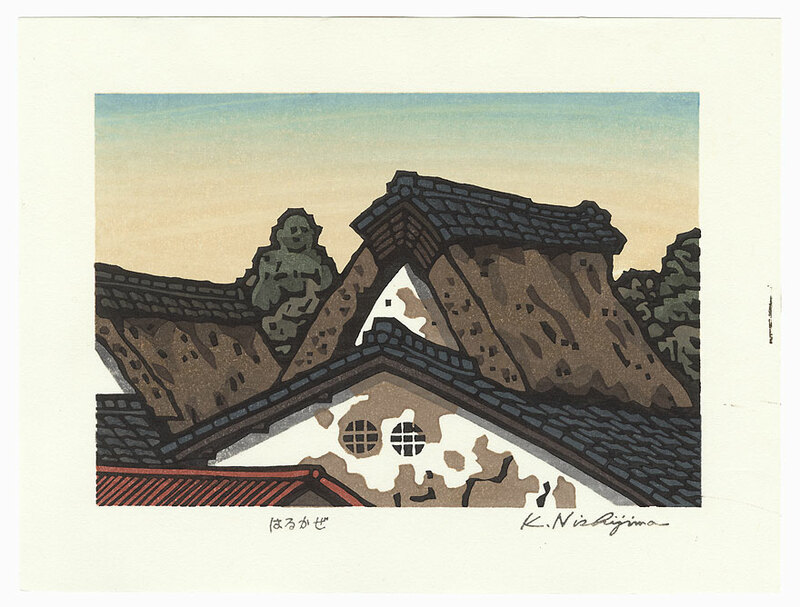 Katsuyuki Nishijima - Kyoto artist Katsuyuki Nishijima is known for his beautiful contemporary woodblock prints in the sosaku hanga tradition, designing, carving, and printing each block himself. Inspired by the beauty of Japan, Nishijima illustrates traditional inns and quiet streets, glorious sunsets and dusky evenings, spring blossoms and summer fields. 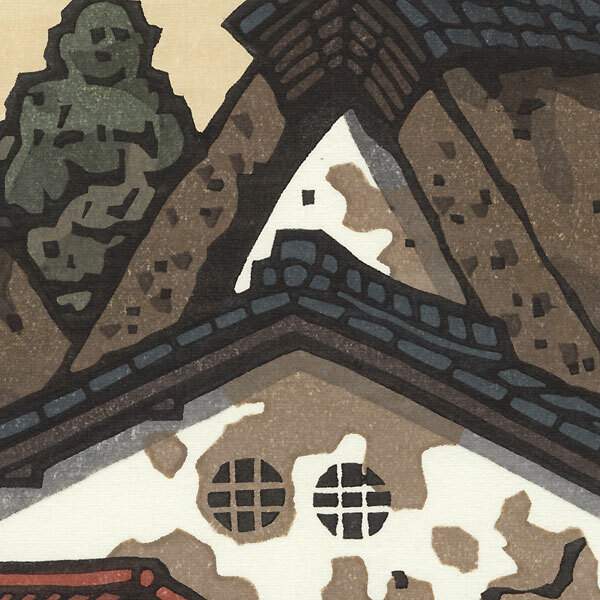 These lovely prints capture the charm of traditional Japanese buildings and landscapes, evoking a romantic view of old Japan yet with a distinctly modern artistic sensibility. 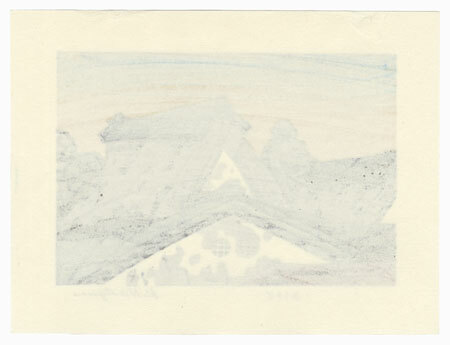 These prints feature a printed signature, and some have writing in Japanese in pencil in the margin or on the reverse. A wonderful choice for the modern collector, they also make striking framed displays. Condition - This print with excellent color and detail as shown. A few prints have couple light creases at edge. Please see photos for details. Generally in nice condition overall.